During the 16th century, the Songye migrated from the Shaba area, which is now the southern part of the Democratic Republic of the Congo. Their history is closely linked to the Luba’s, to whom the Songye are related through common ancestors. Having waged war against one another for a long time, the Songye and Luba later formed an alliance to fight the Arabs. They settled on the left bank of the Lualaba River, on a savanna and forest-covered plateau. Divided into many subgroups, the 150,000 Songye people are governed by a central chief assisted by innumerable secret societies. 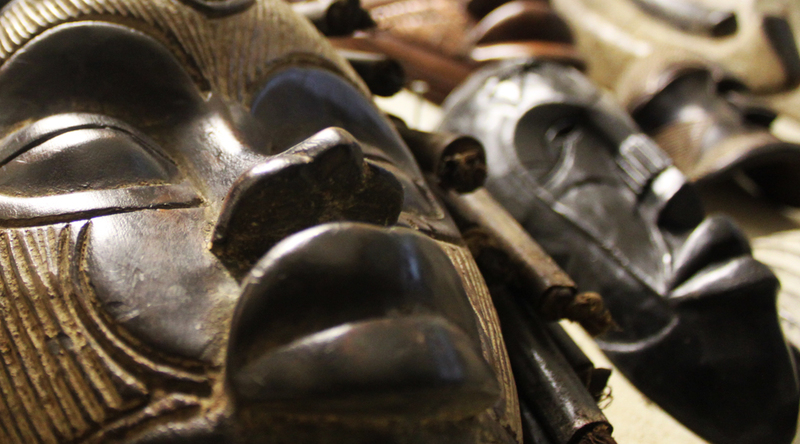 Both the Songye and the Luba tribe produced Kifwebe masks used in secret societies.